April is here and the $avings are blooming!!! Grilling Season is here and Mary’s has all your BBQ grill accessories along with Big Green Egg smokers/BBQ’s on display check in store for more details!!! Mary’s can order patio furniture, TV’s and tons of other great products for all you house check in store for more details!!! we have the Nest thermostat, Google Home and the ring doorbell on display in the store along with bladeless fans and other great items!! Grilling Season has arrived and Mary’s Has the Big Green Egg BBQ Grills with every Eggcessory for your grilling needs. Come in to see all the different options available!!! other great deals at Mary’s we have Fans, Samsung TV’s, Google Home, Nest thermostats, ring door bell and lots more great items!!!!! come into Mary’s Appliance for all your appliance needs and much more! call us for your appliance Service needs!! Great Service, Great Products, Huge savings!!! save on a 4 piece Ge kitchen set in stainless now only $2299 for a whole kitchen!!! Washers and Dryer have some great deals on them as well all brands are on sale, come in and check out the Speed Queen Commercial laundry!!!! While your here don’t forget all the other great things we have to offer such as BBQ grills, Big Green Egg, pelican Coolers, Google Home, Nest Thermostats, the Ring door bell and lots more!!!! 2018 Year End Sale Dec 20th to Jan 2nd 2019 last sale of the year!!! Black Friday Is Here!!!! 10-31-18 to 11-28-18!!!! Dont Miss Out!!! Don’t Miss out on the best sale of the year you have been waiting all year don’t wait for a one day sale when you can save all month!! Black Friday sale started 10-31-2018 and runs almost all month until November 28th 2018!!!! Come into Mary’s Appliance for some great deals and huge saving! We have the same sale prices as the big box store along with service to help you after the sale. why shop anywhere else save big now at Mary’s Appliance!!! Click the links below to view our Black Friday Sales Flier!!! Also pick up those Christmas gifts Mary’s Appliance has the Big Green Egg BBQ’s, Google Home, Ring Door bell, the Nest learning thermostat and Nest Door Bell along with Air Purifiers, Fans, Clocks and much More for those great gifts that will leave any one with a smile!!! Gift Certificate’s are available as well!!!! Along with the Columbus day sale we are running a Customer appreciation sale select appliance on the floor are marked down to clearance level pricing the customer appreciation sale is only select models and while supplies last!! once they are gone they are gone save big now at Mary’s Appliance!!! 4th of July Sale going on Now!!! June 21 to July 11th!!!! The 4th of July sale going on Now June 21st until July 11th don’t miss out on some of the best sales of the year!!! save big on all brands Ge and LG have some great specials and Rebates happing now!!! Grilling Season is upon us and Mary’s has the Best Grill on the Market The Big Green Egg along with any accessories for all you Grilling Needs! stop in and save Big for the 4th of July!!! we will be having BIG Green Egg Demo Days with Taste Testing starting soon!!! ask in store for dates and details. Memorial Day Sale has arrived!!! Get in on Great Spring Savings!!!! Memorial Day Sale Starts May 17th and Runs until June 6th!!!!! Lots of Great Deals This month save Big on Kitchen Packages from GE and LG!!! Spring into savings on GE and Speed Queen Laundry!!!! Spring has arrived and Grilling Season is upon us come into Mary’s for all your BIG Green Egg BBQ needs if you want the best buy the Big Green Egg!!! Mary’s has the Google Home and Ring Door bell in store come in for a demo then Take one home!!! Spring is in the air and Spring savings are here!!!! The Spring Sale at Mary’s Appliance is going on now starting April 5th and running until the 25th of April come in for great savings now!!!! 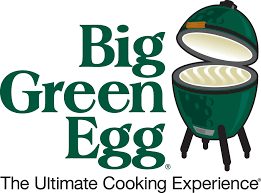 BBQ Season is upon us and Marys Now Carries the Big Green Egg Come in for any accessories to go with your current Grill or come buy the Best THE Big Green Egg offers a life time warranty on ceramic parts and the Big Green Egg is a smoker, Grill, Roaster, oven, and more….if it needs cooked the Big Green Egg can cook it!!! !